When the opportunity arose to work with CBD Crew, Kannabia’s team didn’t hesitate to choose their White Domina genetics for it, because of its high therapeutic potential. 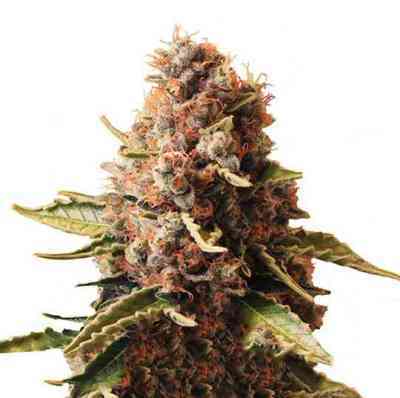 Right from the growth stage, this genetic variety is strong and vigorous. During the flowering stage, of medium length, it develops a large central bud with various ramifications ending in large buds. The end product is compact, weighty and laden with resin, thanks to its original Black Domina genetics. Despite the cross, it maintains its aroma of acidic fruits and wet pine. Kannabia’s collaboration with CBD Crew has been a success and we now have a genetic variety with high CBD/THC values (in a ratio of 1:1). Good for neuropathic pain, with advantage of significantly reducing the psychoactive effect, making it of great interest to patients.